Have a look at our next Channel Marketing video below. Join the president of TSL Marketing as he discusses the topic of Channel Marketing Strategy - Ideal Partner Profile for Net New Business. David has 20 years of marketing and channel marketing expertise, having provided marketing training workshops, marketing consultations, and lead generation programs. Also, David is a regular contributer to the TSL Marketing Blog MarketNow. You can read David's articles by clicking the link. Or, subscribe now and get a copy of our eBook: Combine the Powers of Inbound and Outbound Marketing by Clicking Here. We hope you enjoy Channel Marketing Strategy - Ideal Partner Profile for Net New Business. A revised transcript has been provided below. 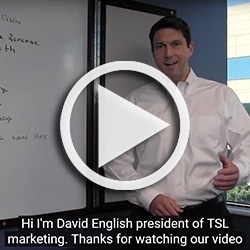 Hi, I'm David English president of TSL marketing. Thanks for joining us today in our channel marketing series, on channel marketing strategy. Today we're going to talk about developing an ideal profile for marketing with a partner for net new business. So, what is the ideal profile of a partner that we can work with to generate net new business. Now I want to make sure we make it clear upfront this doesn't mean that partners that don't fit this profile aren't great ones to partner with. They certainly could be, but they may not be the right ones for net new business and so whether we're co-marketing with them, or we're trying to recruit partners to help us generate new business, this profile will be very important. Second is I want to highlight that this isn't necessarily an exhaustive list. So, there are some things we didn't include on here, that we would still look for as part of an ideal profile for partners to go after net new business. But, this should be a pretty good place for us to start. Ok, so what we look for in partners that are going to be good at generating net new business with us? First is we want to look at the ownership structure of the company. A lot of people don't think about this. You may not always know what the ownership structure of your partner's is like. But, we want to look for an ownership structure that's focused on the long-term. For many companies this is something that's quite important for them. But, you may see some companies, especially if it's a single owner who is nearing retirement age without a succession plan in place, they may be focused on trying to sell that company in the relative short term. Which means they're not really going to be investing in growth, typically. Again there are always exceptions to this, but that's something to look at. Second is growth rate. So, is the company growing? The simple metric might be: are they growing at market rate or above? If they are great, you know that they're having some success on their own at growing their business and may make a good partner there. If they're going below the market rate, it wouldn't always exclude them, but it would be something you'd want to understand why are they not growing at least the market rate. Next is size of the company; this becomes important. Why is it important that we end up having companies that are at least midsize and above, for net new business. Well, it's not that smaller partners can't help us attract new business. However, they may not be able to help as much because they just don't have the scale and resources. It wouldn't be that we don't partner with them, we do. We do want a partner with those smaller companies as well. We just may not invest quite as much as we do to a company that is midsize or above. Next this business style. This is something that the most neutral of word we could come up with was "collaborative". 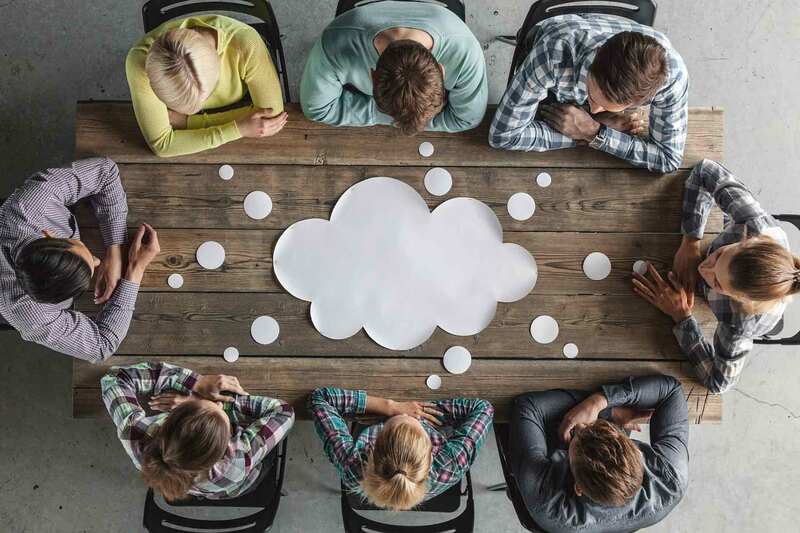 What we mean by collaborative is: Is the partner good to work with on net new business? There are a lot of moving parts when we're talking about going after net new business. So, you want a partner that is willing to work together with you at the same team. You may have some partners that can be a little bit prickly and a little difficult to deal with. I'm sure none of you who are watching this video have partners like that. But, there are some out there that can be difficult to deal with. It doesn't mean you don't partner with them. It just may mean they're not the best ones for net new business, because the amount of collaboration required in the amount of moving parts. Next is their marketing and sales capabilities and team. Do they have some net new focused team? 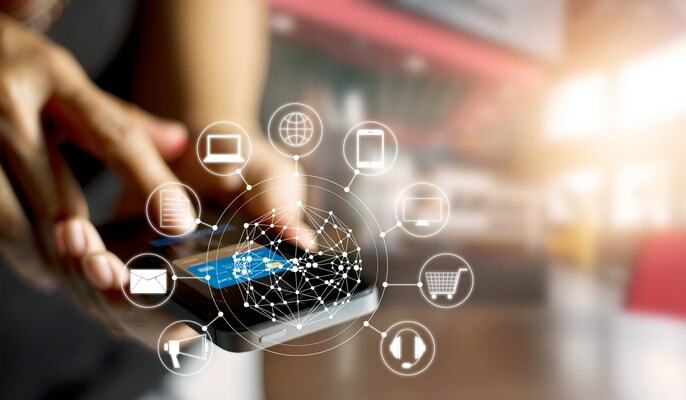 If they have exclusively account managers that handle existing business, if their sales team are all paid ninety percent of their quota on existing business; you may not get them focusing on the net new activities. If they don't have any marketing capabilities that are focused on net new, maybe they've got somebody who's a part-time marketer, who does a lot of other activities, they may not be the right partner to help you generate a lot of net new business. Again, it doesn't mean you don't partner with them. It doesn't mean you don't invest in them, it's just you're not investing from a net new perspective. Finally, financial alignment. This one I think is really important because you want to make sure that partners you're teaming up with for net new business are going to make a fair amount of money on selling your products. And, it doesn't mean they're necessarily making their money on your product itself. They can make money on the services that go with that customer over a long period of time. So, I'm not as concerned about how they make money from that customer, but more concerned that they do make money and margin with that customer over a longer period of time. So, again these have been a few tips on how to choose partners that are ideal for co-marketing. We hope you enjoyed and you certainly are welcome to check out other videos in the channel marketing strategy series. Thanks for listening!